Do any of your feline family members have a little too much squish underneath all that fur? Does he or she not get enough exercise? Would you like to see them trim down a bit? Well, a clever ad agency recently released a comical commercial featuring cats performing aerobic exercises called “Work It Kitty!” in an effort to promote a healthier lifestyle for cats. The clip below features enthusiastic felines including Mr. Freckles, Pumpkin, Tom, Boots, Harley, Fritz, and Banjo. 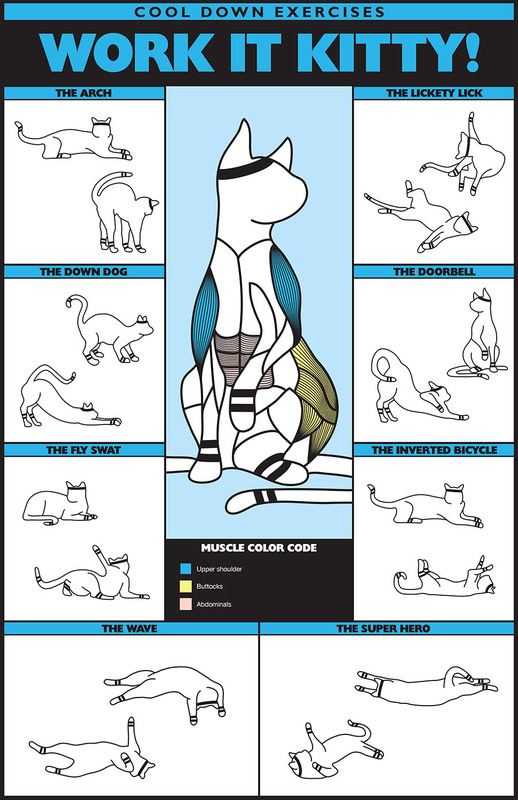 They use exercise moves like the “rear leg lift”, “toilet paper rolling”, “paw rotation”, “jumping box squats”, and “ab cruncher”. Watch these frisky felines get their exercise groove on! PS. Temptation Cat treats are serious kitty crack. Beware. Fill a ball with treats and roll it around. Hide treats or toys around your house and watch the feline hunter hunt them down. Use a laser pointer to get kitty moving! *** But don’t be a TEASE! Make sure you know the PROPER way to use a laser pointer! Randomly leave treats or toys on tables or low shelves. Encourage kitty to jump! It’s a great way to maintain muscle tone. ~ Alternate where the goodies are placed to increase movement and maintain their interest levels. Take kitty for a WALK (details on how to do this coming soon). Use interactive toys such as the Undercover Mouse and this! 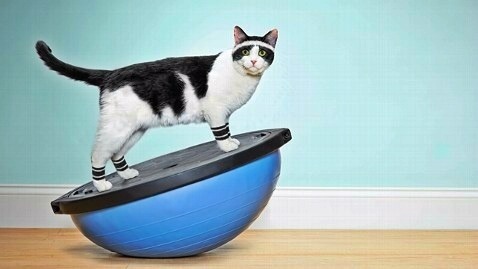 How do you make sure your feline family member gets enough exercise?